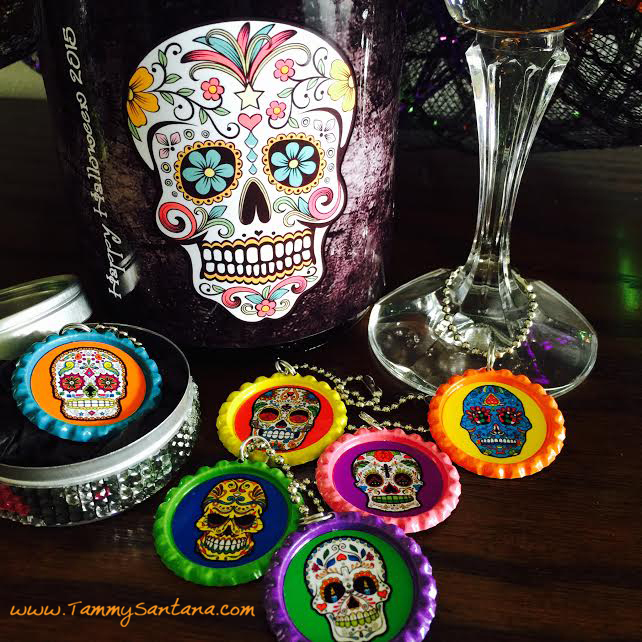 TammySantana.com: Sugar Skull Wine Charms with Free Printable! 3. 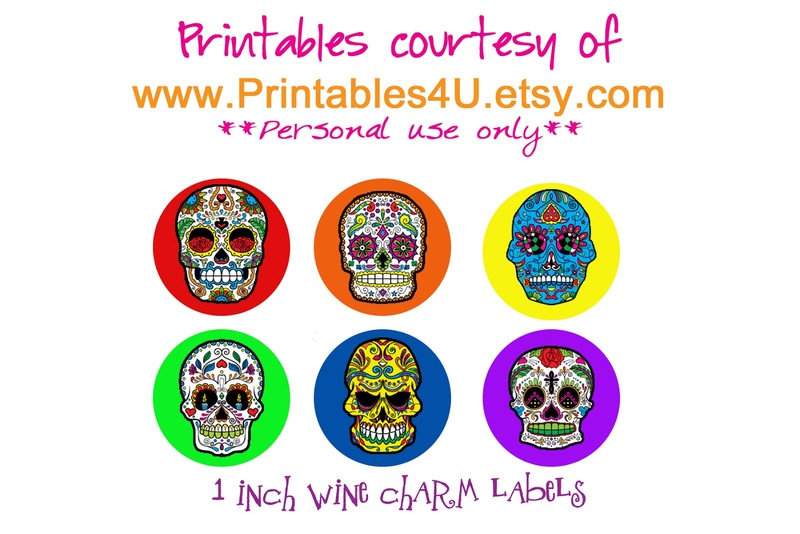 Adhesive of your choice. I recommend using a Xyron machine or Glue Dots. 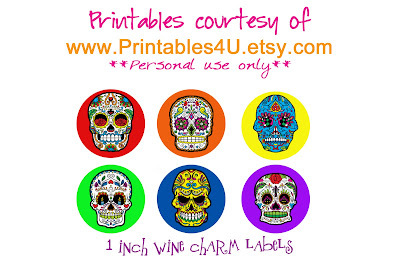 *Print the images from the free printable below and use a 1 inch circle punch to cut them out. 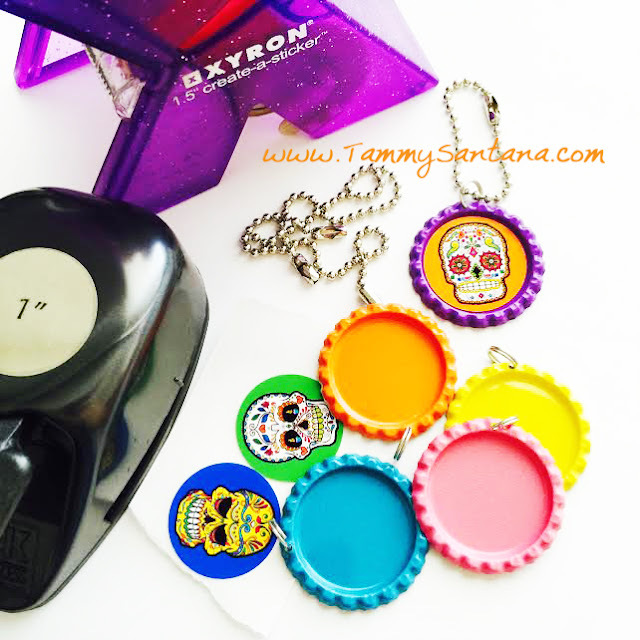 *Run the circles through a Xyron machine or add a Glue Dot to the back of each image. 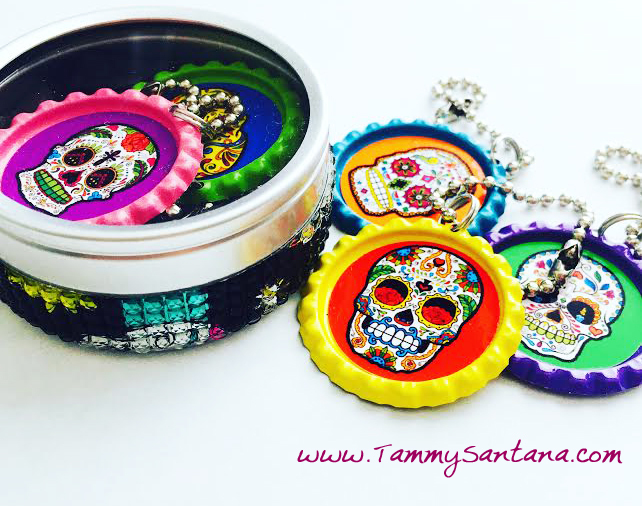 *Thread the ball chain through the pendant split ring and attach it to the glass stem. I added some bling from The Buckle Boutique around the tin for added decoration!